Let's take a look at a few misconceptions we've heard. Share the truth on twitter! A hallmark of Montessori education is independence, and self-selecting work. Students are encouraged to set their own goals, and follow a path to achieve them. Part of that process is selecting their work, and working autonomously. 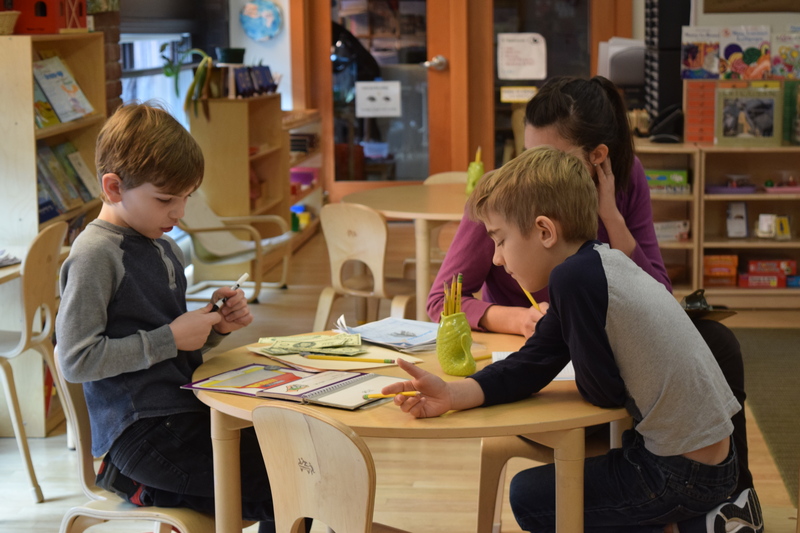 It's common to see students working individually or in small groups in the Montessori classroom; often, you'll also see a wide variety of different tasks being accomplished from student to student, in a quiet, controlled, and dedicated manner. 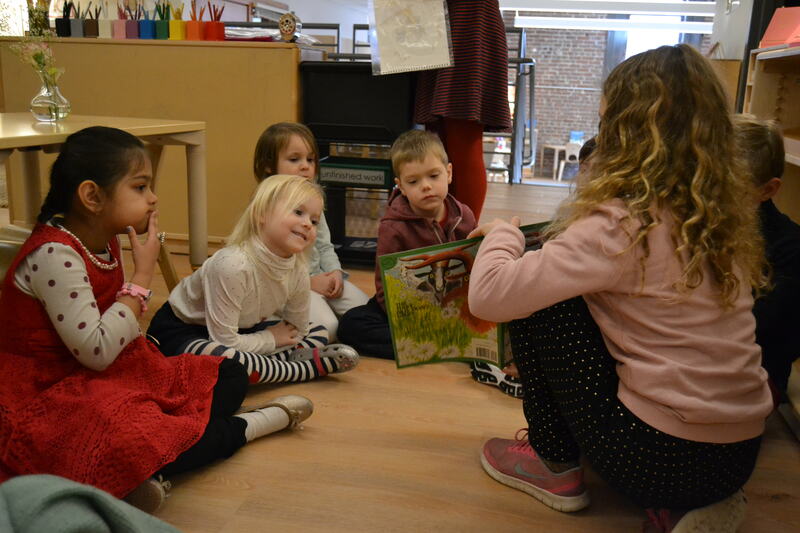 Montessori students also develop a respect for their own and others' learning spaces from a very young age. In the Early Childhood levels, students learn the concept of the Quiet Classroom—keeping voices, noise, and distraction to a bare minimum—which helps these classes stay orderly and concentrated. Even during independent work blocks, when students are engaging in a variety of different tasks, this respect for the student-centered learning environment is apparent. Students are quiet, orderly, and focused; cleaning up after themselves, and leaving the materials ready for the next student. While Montessori classrooms allow for freedom of choice, and provide more independence than many other classrooms, if you spend a day inside of one, you'll realize that they are far from out-of-control. Montessori classrooms are highly motivational, student-centered learning spaces, that support students in reaching their goals. Work being done in these classrooms is organized, developmentally appropriate, meaningful, and fun. If you ask a random person what they know about Montessori education, one of the answers you may hear is that Montessori schools "don't do tests," or that they "don't grade anything." While it is true that Montessori education does not emphasize test-taking in the way that it is emphasized in many modern educational frameworks, this does not mean that Montessori students are unfamiliar with testing, or perform poorly on standardized tests. In fact, the research indicates quite the opposite. Montessori students view test-taking as an opportunity. Tests are an opportunity to show off what they've learned, and also an opportunity to practice a new set of skills. 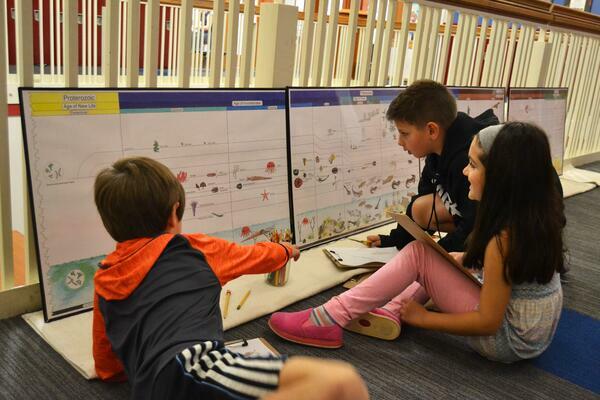 Montessori students are used to showcasing their learning in a variety of ways. Standardized testing is just another way to do so. Research shows that Montessori students are not only comfortable taking tests, but they also perform quite well. There is a wealth of research on this topic, and more being done every day. The general consensus seems to be that Montessori students perform very well academically, and with regards to social-emotional development. Possibly, it is a fear of the unknown that motivates this particular myth. The less that is known about Montessori, the more likely one is to assume the worst. The fact is, this myth couldn't be further from the truth. Montessori students do, in fact, thrive once they move on to other types of educational environments. Montessori schools certainly have a different method than most "traditional" schools. Some critics worry that allowing students the amount of independence that Montessori fosters will result in a curriculum that is over-loaded with fun-time and low on rigor. This idea fails to take into account the level of planning on the part of the educators, and the level of motivation within the learners. Students chase big ideas, and call on all of their available resources to go beyond what they have done in the past. With the guidance and encouragement of their teachers, these students do more than participate in a rigorous curriculum—they create it. Montessori students bring their high level of motivation, independence, and grit along with them to their next schools. They are dedicated learners, who know what they need in order to succeed. We hear time and time again that our students know themselves as learners, and use that knowledge to navigate and thrive within different learning environments. One of the most important parts of the Montessori framework is that teachers take the time to get to know each and every child. Students and teachers work together to develop learning plans and goals that are relevant and meaningful for the student. Children are supported, encouraged, and given the resources needed to achieve their goals. Montessori education puts specific focus on social and emotional learning, which helps create harmonious learning communities. Students learn at a young age to respect each other, and to respect their learning environment. Students model their learning and behavior off of the older students in the classroom, and those students provide support and encouragement to their peers. Montessori classrooms are collaborative, supportive environments, that foster independence and intrinsic motivation. By creating a comfortable environment, and taking the time to support each child individually, differences in achievement that are usually observed across different populations, are actually decreased. Montessori education not only raises the level of achievement across populations, it also equalizes that level of achievement, such that all students can reap the same benefits.